The International Seminar on Critical Approaches to Dante (ISCAD), the Department of Italian Studies and the Cinema Studies Institute invite you to a special screening ofÂ F. Bertolini, G. de Liguoro and A. Padovan’s L’INFERNO (1911, 68Min) on Wednesday April 5th at 7PM. 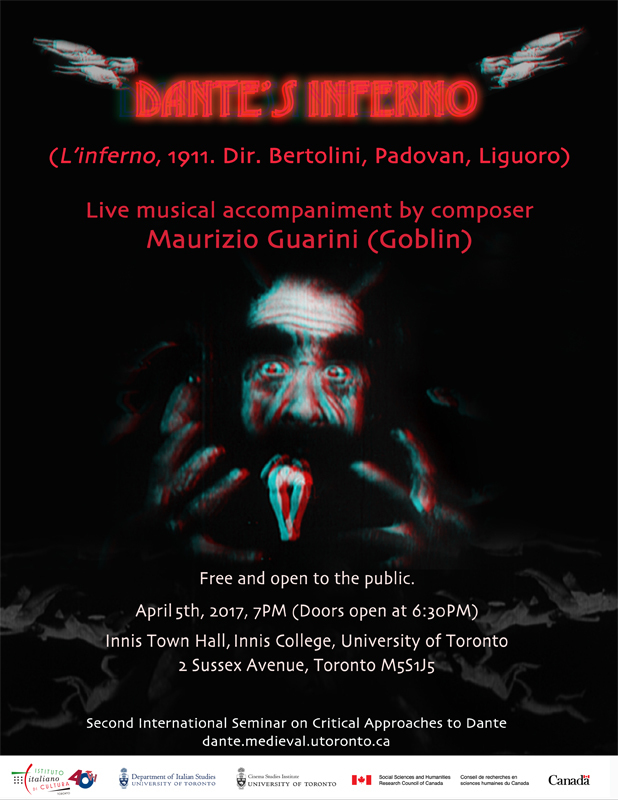 This classic silent film will have live musical accompaniment by Maurizio Guarini, musician, composer, multi-instrumentalist and member of the band Goblin. This special event is free and open to the public.